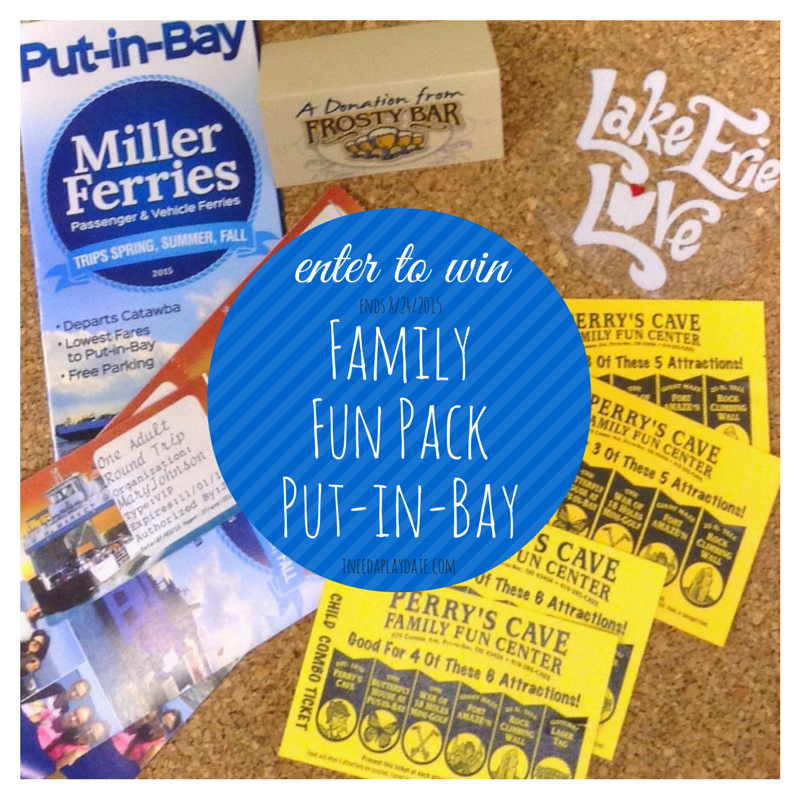 Items listed for this sweepstakes was provided to facilitate this post by Miller Ferry, Perry's Cave and Frosty's Bar. I've not received any other compensation. Opinions are my own. It's hard to believe that it's August and it's been two months since we visited Put-in-Bay! Read about our trip on the Miller Ferry as well as how to plan a trip on Shores and Islands' website! Despite the Mayflies, it was nice going to Put-in-Bay in early June because it was still cool enough to enjoy the island without the sun beating down on us. I imagine that fall would be the same. I love the crisp smell of autumn and the changing of the leaves on the trees. I even love the way Lake Erie looks - it's more blue than green. Visiting Put-in-Bay in the fall is on our bucket list! As a way to say goodbye to summer or to celebrate the beginning of school, Miller Ferry has a great family fun pack to giveaway to one lucky reader to enjoy Put-in-Bay in the fall!